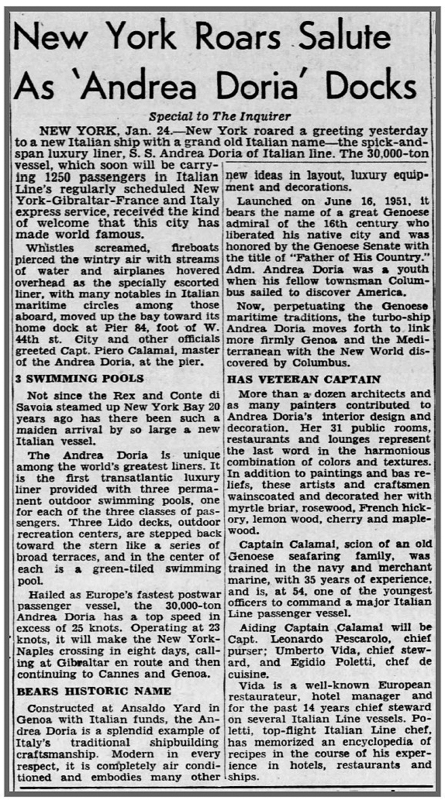 It was a cold, gray day, but New York gave Andrea Doria a bright, warm welcome as she arrived at the end of her maiden voyage.. Sadly, the liner that was designed to be the cornerstone of Italy’s post-war ocean liner fleet is now best remembered for her tragic demise in 1956. Her “veteran captain,” Piero Calamai, saw his career indelibly tarnished.